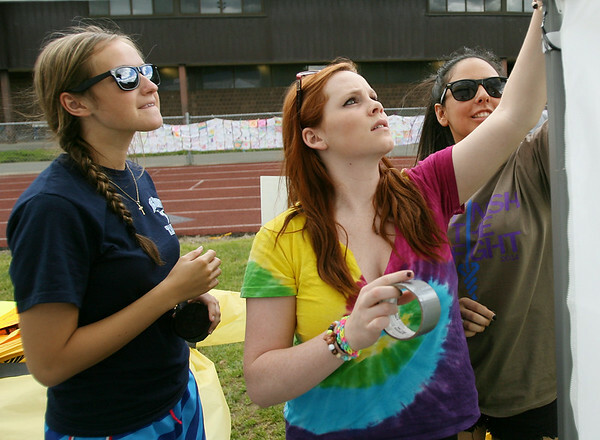 From left, Peabody High School graduates Michelle Cali, Carolyn Deroo, and Amanda Alperen tape up black and yellow streamer decorations to their Relay for Life tent on Friday afternoon. DAVID LE/Staff photo. 6/6/14.